Moonlit Dreams is a version of the Embellishment Sampler from the previous post. Although the blocks vary somewhat and are done almost entirely in Blue they use all of the same techniques. I loved going through all my collections to find the blue ones. Blue is my favorite color and the color that always makes me think of my mother who I lost as a little girl. That’s her picture, Barbara Jean in the center square when she was maybe twenty. 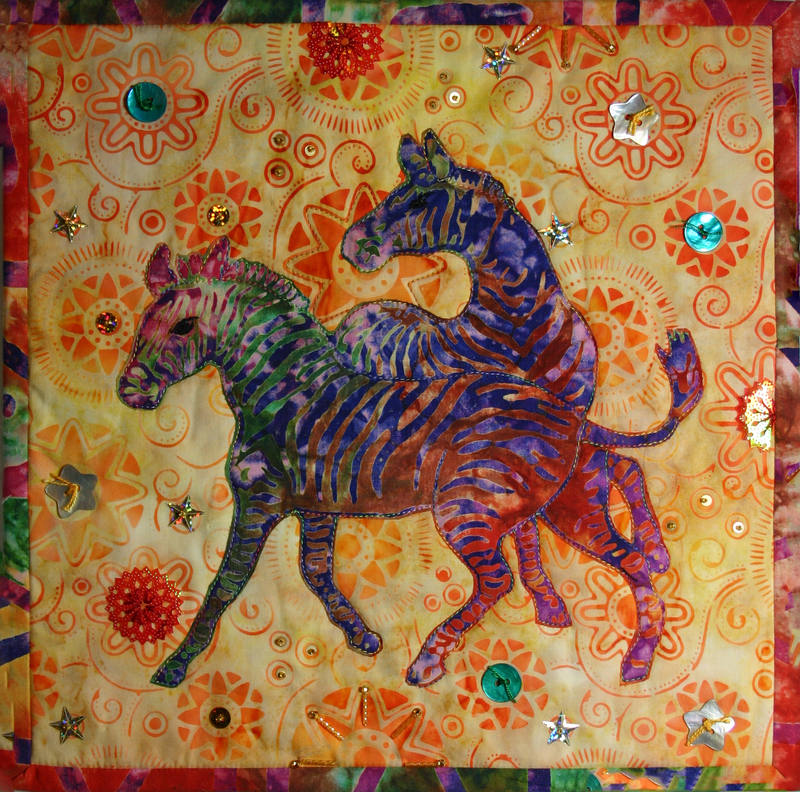 The piece measures 12″ X 12″ so it doubles as a Twilt and it could be considered Whimsical so it qualifies for the May piece in the 12 x 12 group on facebook.